I challenge you to ask your employees, what they should do if the business was to go completely down. I guarantee all would have a different answer and although this may seem quite far-fetched and completely unlikely to happen, it does. Even if it were to never happen, what is the harm in preparing for the worst? In the midst of a disaster, it's common to panic, your reaction becomes impulsive and the tasks you set may not be in the best interest of the business. These type of things can be avoided with a plan designed by all key stakeholders that is so well thought through it can be followed by anyone, with or without a decision maker. This is essentially the process in which your organisation should conduct itself in the event of a disaster to re-obtain a 'business as usual' state. Your business continuity plan is often considered to be the heart of a BCMS (business continuity management system). Who and what type of business should have a continuity plan? Every organisation should have one no matter what shape, size or field of business you’re in. A disruptive/disastrous incident could happen to any business. The result of having no plan in place could potentially have irreparable consequences for your business. 1).The aim of the plan: The first action is to identify your end goal, which in the midst of a disaster, I'm sure, would be to return to a 'business as usual' state. However, be granular and specify what this will look like post-disaster. 2). Objectives of the plan: Once you have documented the end goal, you then break that down into smaller tasks. 3). Critical Function Checklist: Within this section, you need to identify the crucial things needed to run your business. This can vary from software, hardware to even people. 4). Critical Function Analysis and Recovery Process: Now you have identified the critical functions you need to perform an in-depth analysis of each one. Probing into critical function such as who is responsible for getting replacements, its impact on the business, how soon would you need this recovered, and what resources are needed to recover this? 5). Emergency Response Checklist: Break down into steps what needs to happen 'during' the emergency. Think about who needs to be contacted, emergency services, suppliers, customers etc. Then you may want to create a PR statement. It's completely personal to you and your business. 6). Contact Lists: This section should contain the contact details that are essential for continuing the operations of the organisation. Include things like key contacts of suppliers, utility companies, customers, insurance/finance companies or even emergency services. 7). Emergency Pack Contents: As part of the recovery plan for your organisation, key documents, records and equipment should be held off-site in an 'emergency pack'. This pack needs to be retrievable in the case of an emergency to help in the recovery process. 8). Actions and Expenses Log: In this section, you should be recording decisions, actions and expenses incurred in the recovery process. This will provide information for the post-recovery debriefing and help to provide evidence of costs incurred for any claim under an insurance policy. 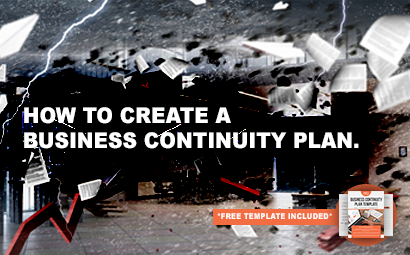 We have designed a 'Business Continuity Plan Template' to make a business continuity plan easier for you to implement. The template will aid you in capturing all the important actions that you or your staff would need to undertake should there be a business disruption. 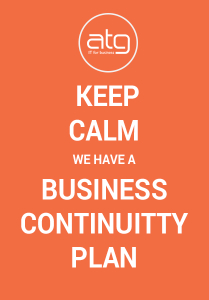 To find out more about business continuity and how you can implement a BCP in your organisation, fill out the contact box below and one of our experts will get in touch.